Last week, Politburo member and Party Secretary of the City of Hanoi, Pham Quang Nghi visited Washington D.C., following up on an invitation by the U.S. State Department. While in Washington, the Communist Party member met with a number of U.S. officials including Undersecretary of State Wendy Sherman, Deputy National Security Adviser Tony Blinken, Counselor to the Secretary of State Thomas Shannon, and Senator John McCain. Topics covered during the meetings included encouragement of American investment in the Vietnamese economy, the importance of the development of the TPP (Transpacific Partnership), and postwar economic assistance for Vietnam. None of this is important. Nothing here was accomplished. The first substantial thing to know about this particular trip is that Hanoi Secretary Pham Quang Nghi was not even supposed to be at the meetings in Washington in the first place. 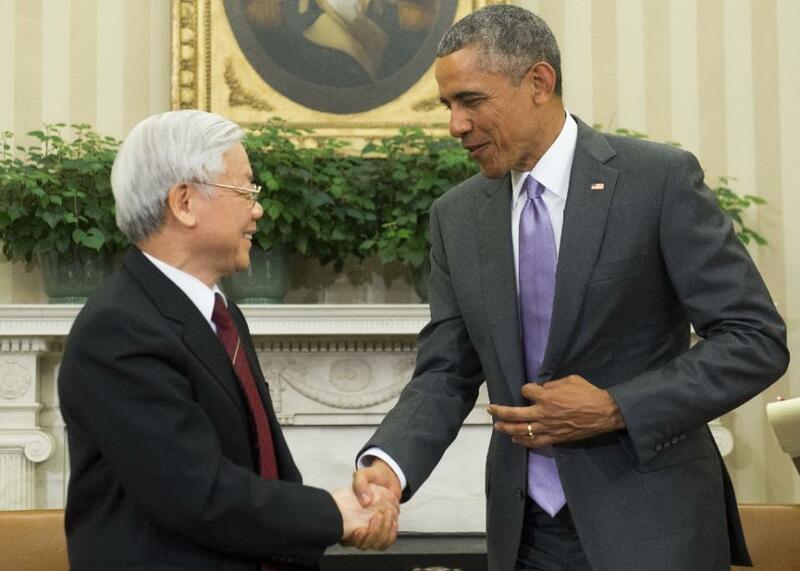 The invitation by U.S. Secretary of State John Kerry was initially extended to a different VCP member, Pham Binh Minh, a known pro-Western voice within the party in Vietnam. At the last minute, Minh was sidelined by the VCP leadership. In his place, a pro-China drone in the form of Nghi was sent to represent the Communist State instead. With the understanding that Minh was more open to talks with the West, Secretary of State John Kerry invited him for a meeting in Washington. 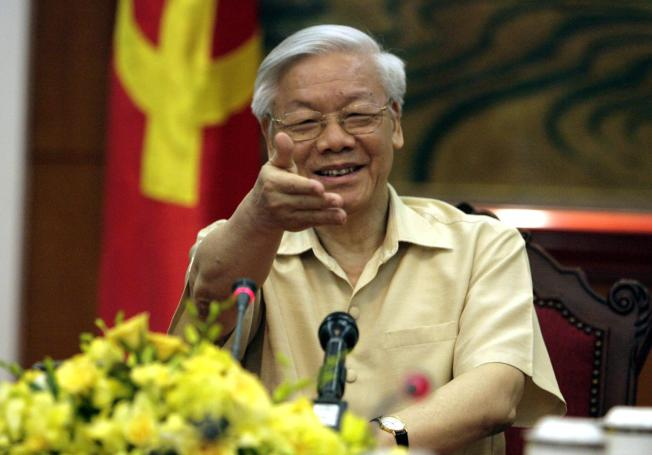 However, with an overwhelming presence of the pro-China faction in Vietnam’s Communist Party, Minh’s trip was stifled by the head members of the Vietnam government, including the party leader Trong. In response to news that Minh was no longer coming, John Kerry appointed other members of the U.S. government to attend the meetings with Vietnam’s new delegates. Among the U.S. representatives was Senator McCain. Aside from the topics discussed with U.S. representatives, which were fruitless overall, delegate Nghi went out of his way to present Senator McCain with a pair of ‘gifts.’ The first is a painting of the site where McCain was captured during his service days, and the second is a painting of that memorial inscribed with a personal message directly mentioning the Senator. One need not look very closely to find out that these gifts presented to McCain carry some deeply disrespectful messages behind them, aimed directly at the Senator from Arizona. 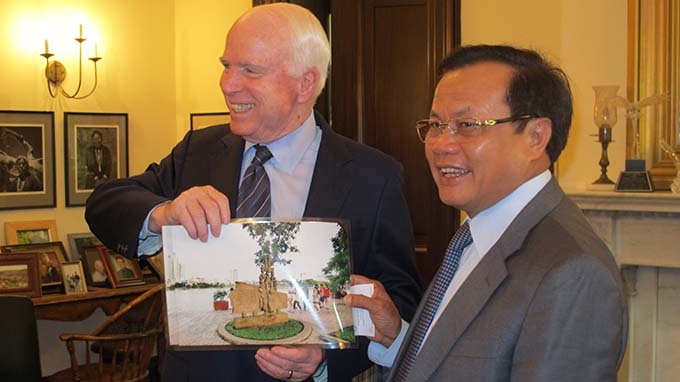 The picture above shows Senator McCain taking a photo with Communist member Pham Quang Nghi with the first gift in hand. Besides the fact that the painting depicts the site of McCain’s capture in 1967, the memorial plaque painting will clarify the Vietnamese official’s intention to humiliate the U.S. Senator. For a gift that is allegedly meant to commemorate, the message here only outlines the capture of McCain, reminding him that he was their captive, and all the painful implications of that event. Moreover, the message boasts that McCain’s was only one of ten other American planes shot down that day, a further insult to what they claim to be a gift for the Senator. 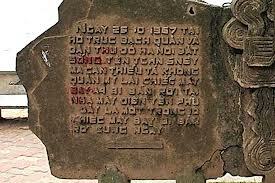 Lastly, the term “TÊN” as used in the original plaque before naming Senator McCain, carries a negative connotation in Vietnamese, comparable to “Guy,” or “That guy,” in English. The term is opposite to a formal address such as “Mister,” and is used deliberately to show how little the Reds in Hanoi are trying to regard Mr. McCain. The interpretation here is that Hanoi wanted to send a message to John McCain and the United States, signalling that the pro-China faction was dominant within the Communist Party, and that the U.S. should not get involved in Vietnam’s relationship with China. It didn’t work out the way they thought it would, though (it never does). There is so much stupidity in what Pham Quang Nghi did during this trip that one must wonder if these guys know what they’re doing most of the time (they don’t). There is a certain way for a statesman to behave when engaging in diplomacy, and this rude and vulgar conduct is no way to carry oneself when representing an entire nation. It’s not surprising, though. Everything the VCP does at this point is so painfully stupid that it shouldn’t even come as a shock anymore. 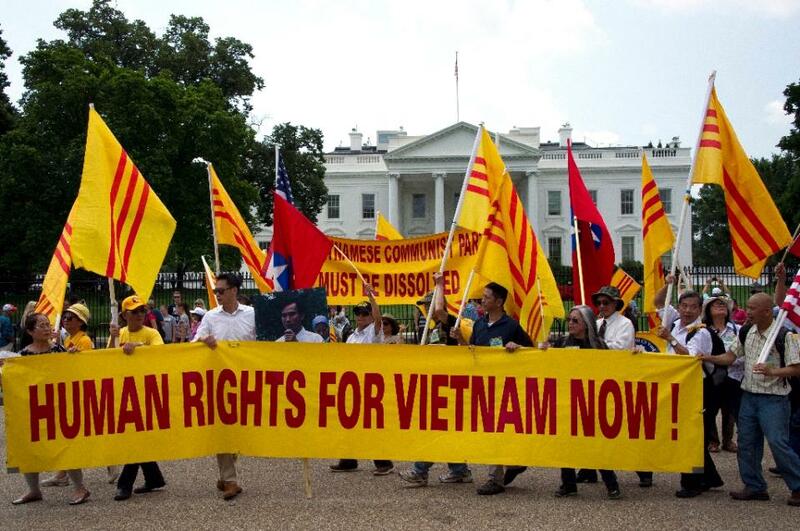 In sending a premeditated insult to the U.S. through Pham Quang Nghi, the leaders in the VCP were intending to humilate John McCain and the United States. However, in committing such a crude diplomatic act, the Communists have publicly humiliated themselves instead. The internet is exploding with criticism and ridicule from this episode, wondering how the VCP was capable of such stupidity. Well, anyone following this blog and Vietnamese politics will know that idiocy such as this is nothing new to the VCP. They are wrong for the country, and, to put it simply, they need to go.